In what has been arguably the most brutal season to date (spoiler alert), where Cersei took the throne and yet another Stark fell to the hands of death, the sixth season of Game of Thrones has been bloodier than ever. The show’s death toll has risen to an all-time high, and there’s even an online virtual graveyard you can visit, where you can pay your condolences to the mighty and the fallen (except for Ramsay, obvs). 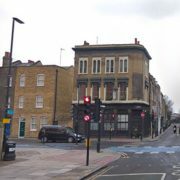 Now, to celebrate the release of the sixth season on DVD and Blu-Ray, a Game of Thrones pop-up art gallery hit Shoreditch this weekend to show featured officially-sanctioned pieces of artwork, storyboards, and costume design sketches, as well as art inspired by the show. A must-visit event for any die-hard Game of Thrones fan or art enthusiast, the gallery was home to a wide-ranging collection of creative installations. 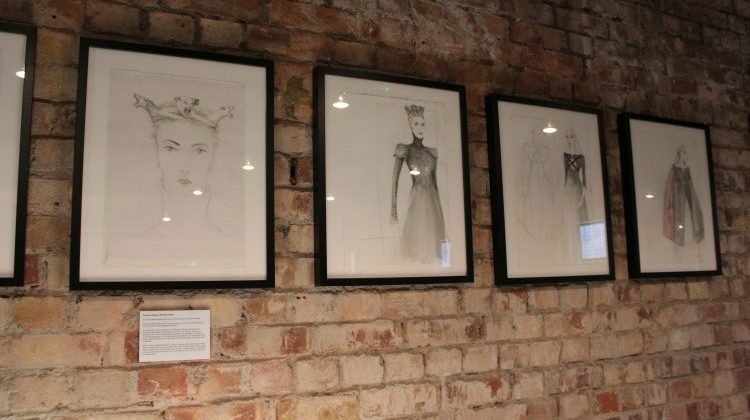 Visitors were able to see work created by the show’s art and production team, including various dress sketches of Queen Cersei by costume designer Michele Clapton. Rough storyboards and plans from previous seasons by comic artist William Simpson also featured alongside behind-the-scenes footage and deleted material from the sixth season. 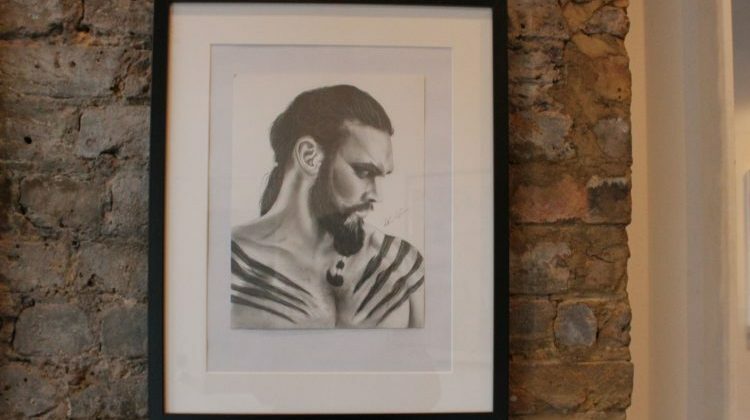 Ten pieces of fan art were personally selected by actor Isaac Hempstead Wright, who plays Bran Stark and who was in attendance for Thursday’s launch. 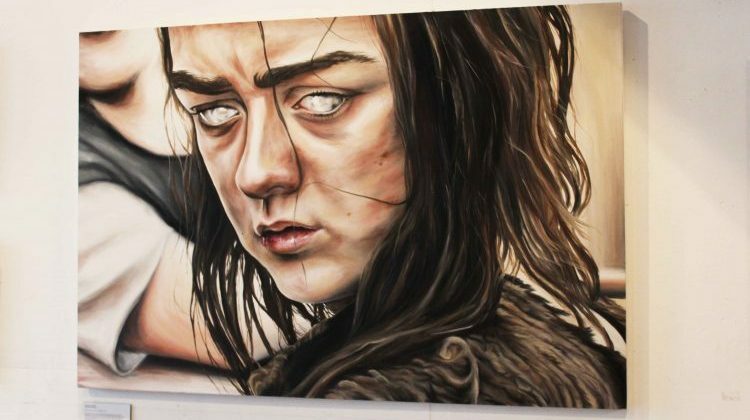 The fan pieces, which were on display as part of a competition that ran on the HBO UK website, comprised of various mix media works, one of which was a large canvas oil painting of one of the show’s heroines, Arya Stark. 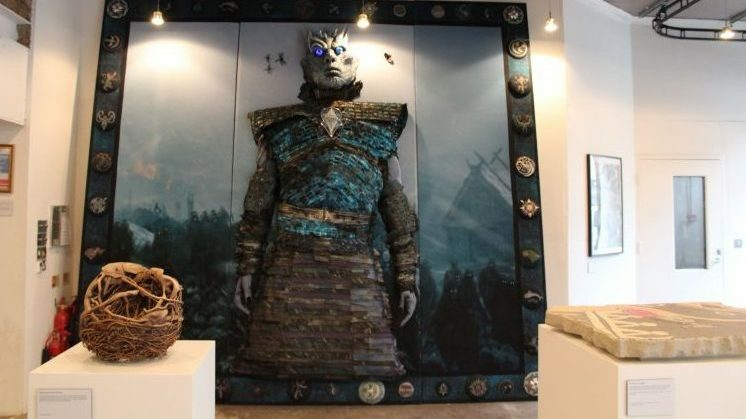 One of the gallery’s standout pieces, a large textile rendition of the infamous Night King, was created with over 50 people taking part in the project. The piece took over 30,000 hours to complete. Season six of Game of Thrones received the most nominations at this year’s Emmy Awards with 23 nominations and winning 12, scooping up the award for Outstanding Drama Series for the second year running. And if the gallery wasn’t enough for Thrones fans, the front door of the exhibit had ‘Hold the Door’ on it, an homage to Hodor, one of the show’s most beloved characters. Game of Thrones season 7 is currently filming and will be released the summer of 2017.